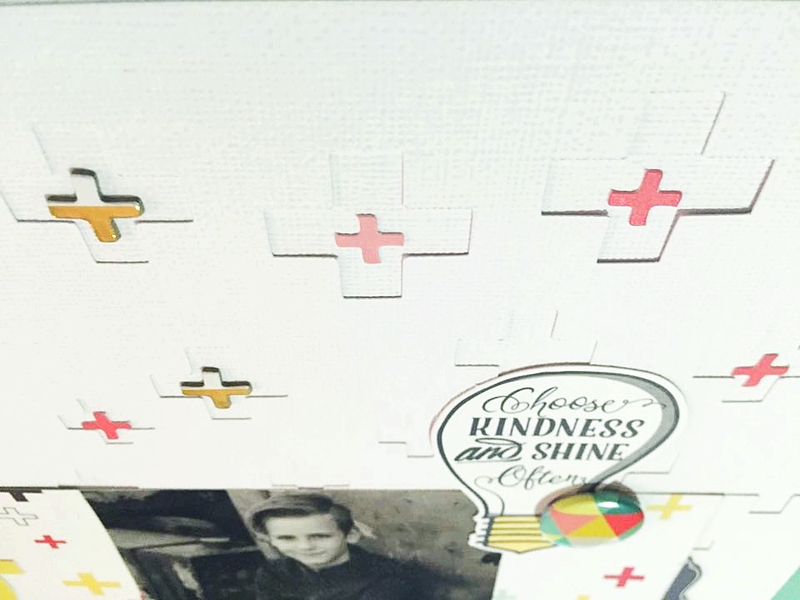 Choose Kindness and Shine often layout by Rachel Lowe. 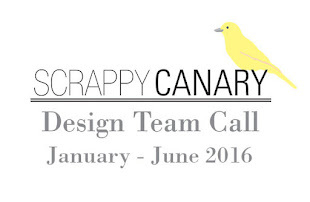 Hello Canary friends I am so excited to be here for the first time as a DT member. I am so looking forward to the next six months sharing layouts with you all. 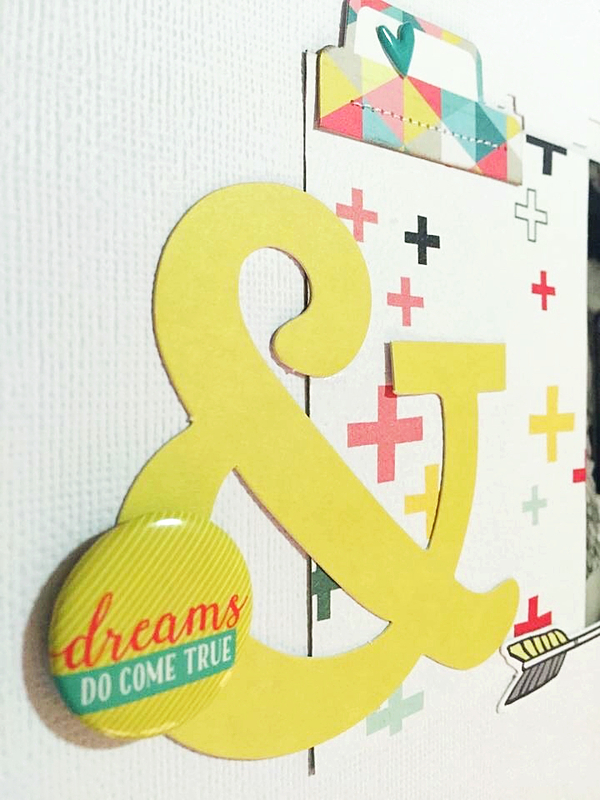 How gorgeous is the January Scrapbook Kit Andy! So much love for it. As soon as I saw the cross printed paper I knew I had to make a boy layout (although you could use any photo on this layout). I have used a digital cut file featuring crosses as my background paper however you could simply add the die cut crosses randomly as I have (the white and gold crosses are from the included AC alphas) to create the same effect. I have also sewn on this layout as it adds texture. I have used the ampersand die cut and flair 'dreams do come true' to add to the story of this layout. 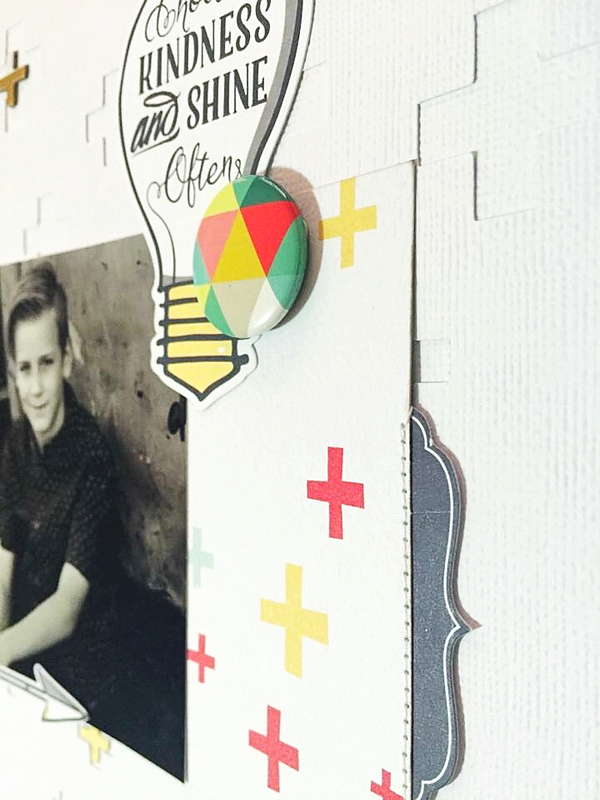 When using a smaller photo I 'frame' it with embellishments to ensure the eye is drawn to the photo as I have in this layout. You certainly can use pinks on a boy layout as long as it is not the feature colour (you will see I have used yellow as my main colour theme). Here are some close up photos for you. 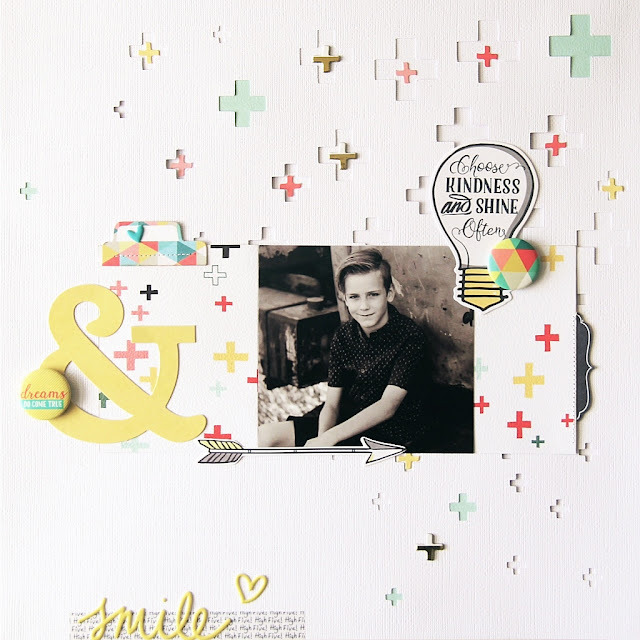 Thanks for stopping by for a look today and see you next week with another layout share using this fab January kit.